Fitness Training Midland - See Our Workout Programs | Fit Results Inc. Challenging, fun, and proven fitness programs at our Midland location. Try The New LevelOf Fitness Today! 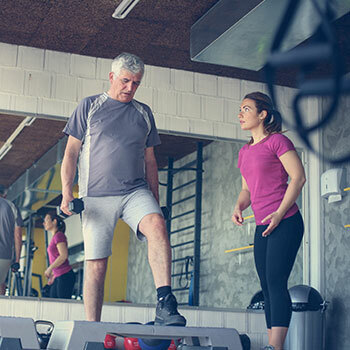 Personal fitness is essential to your overall health and well-being. That said, you don’t want to just run on a treadmill, lift some weights, and call it a day. Our team at Fit Results Inc. is dedicated to helping you take your fitness to the next level, whatever the goal may be. Just give us a call and we’ll provide you with further details and costs for our fitness training programs in Midland. Why Choose Fit Results Inc.? At Fit Results Inc., your physical fitness is our No. 1 priority. Whether you want to lose weight, build muscle, or just get back in shape and feel your best, our staff has you covered. We are changing the way families in Midland view fitness centers. Learn more about the fitness training programs we offer below. Want to be sure that you maximize your workout? 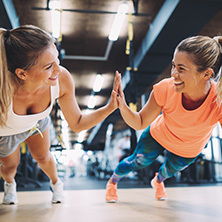 Then we recommend you get in touch with a certified personal trainer at Fit Results Inc. Our personal training programs include a detailed health and fitness assessment, customized workout plans, one-on-one training, nutrition advice, and so much more. Fit Results Inc. offers several packages, including month-to-month and 12-month options. It’s no secret what makes this program the fastest growing fitness and fat loss program in Midland. 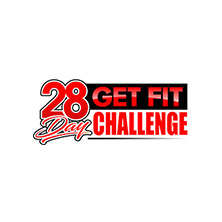 The 28-Day Get Fit Challenge combines resistance training, cardiovascular training, and High-Intensity Interval Training (HIIT) for a fun, heart-pumping workout. In addition to 12 group fitness classes, participants receive a personal training program, three inBody analyses, as well as regular nutritional recommendations. If you’re tired of going through the same old workout every day, you’ve got to check out Fit Results Boot Camp in Midland. This 30-minute indoor fitness boot camp is ideal for those who may not have a ton of time to spend at the gym but still want a great workout. 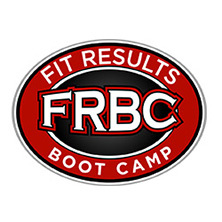 Fit Results Boot is for all fitness levels ages 18 and up and is run by our incredible trainers. 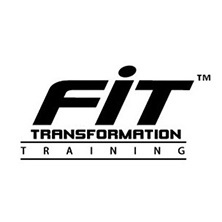 Fit Transformation Training™ (FTT) is a scientifically-based system proven to increase strength and endurance. Our trademarked personal fitness program, FTT combines HIIT, functional training, metabolic conditioning, and more. Participants work through short, timed bursts and sprints, alternating between strength training and high-intensity cardio. Nowhere else will you find FTT sessions being offered! Another differentiator of Fit Results Inc. is that we offer nutrition and lifestyle coaching in addition to personal training. At Fit Results Inc., our staff never resorts to the latest fad diet or “cookie-cutter” meal planning program. We will work with you individually and help you spot areas of needed improvement for the best results. Here at Fit Results Inc., we understand that everyone’s schedules and fitness goals are different. With that in mind, we make it a point to offer a variety of membership options. Every Fit Results membership includes a bonus fitness assessment and InBody Analysis with one of our certified personal trainers. Fit Results Inc. is so much more than just another gym in Midland. Whereas other local fitness centers might give off an intimidating vibe, Fit Results is totally laid back and family-oriented. We pride ourselves in maintaining a fun, friendly environment where members are the priority. Ready to see for yourself what sets Fit Results apart from the average gym? Contact us today to ask about any of our programs and/or memberships. You can also stop by our Midland location and check out how we’re creating a new level of fitness.